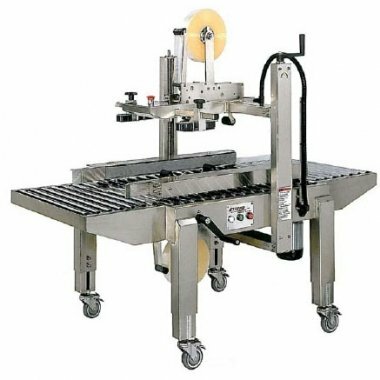 The automatic case sealer CT 103 SDS is a carton sealing machine with side drive, suitable for PP or PVC tape. The CT103 SDS is constructed in stainless steel, making it suitable for the food and pharmaceutical industries. The machine can be easily set up manually for the necessary height and width. Drive belt speed 23 mtr/min.